What a wonderful way to start out!. On the weekend of September 28th, we had our ribbon cutting with the Jackson Chamber of Commerce Friday morning, Grand Opening Party on Friday evening, and Family Day at CrossFit Jackson on Saturday, September 29th. We at WellFit Medicine and Nutrition surely appreciate all the support we received as we kicked off the opening of our new facility in conjunction with the celebration of CrossFit Jackson’s new location and 5-year anniversary. Friday morning was spent giving tours to area business owners and other professionals, with a special visit by our mayor. It was nice to be able to explain the WellFit concept and back-to-basics approach we have adopted to help our patients reach their greatest potential. Dr. Jeremy Draper, a family medicine practitioner also on faculty at UT Family Practice Clinic here in Jackson, is committed to spending time with his patients in a comfortable, yet simple, environment which promotes goal-setting and patient education as the keys to achieving desired results—for the whole family. We were pleased to spend the morning with about fifty guests, also sharing healthy snacks over conversation and questions. Tours also included a walk through the new CrossFit Jackson gym, which is one of the largest CrossFit gyms in the country. Originally working out five years ago with clients in a park, Jayson and Jennie Keel, gym owners, are putting their new space to good use, training adults, and now youth with their new CrossFit Kids program. The momentum of the day continued as guests arrived Friday evening for the grand opening party. Catered by Draper’s Catering of Memphis, the Paleo menu was exactly what the doctor ordered. Guests dined on carved prime rib, rosemary turkey, roasted vegetables, sweet potato wedges, crab- stuffed mushrooms with bacon, chicken salad on fresh cucumber slices, and a chopped vegetable salad station. Paleo desserts were apple cobbler and coconut custard shots with berries and almonds. Registered Dietitian, Cathy Draper, planned the Paleo menu, assuring something for everyone’s taste. The menu was well-executed by the staff at Draper’s Catering. It was sure nice to mingle with friends and acquaintances from both Memphis and Jackson, including medical professionals, fellow CrossFitters, family and friends. Family Day at CrossFit Jackson on Saturday was also a huge success. The Keels, their trainers, including Dr. Jeremy Draper, scheduled workouts, family projects, food, and lots of activities to make for a full and fabulous experience. 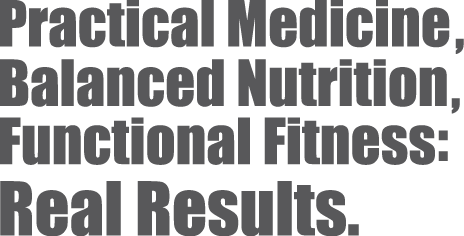 We at WellFit Medicine and Nutrition are so appreciative of our warm welcome and look forward to working with the fine people of Jackson as we strive to apply the simple and lasting principles of Practical Medicine, Balanced Nutrition, and Functional Fitness that will positively influence our patients’ lives for years to come. A special thanks to Trunetta Atwater, our photographer. Check out our Facebook Page for more pictures from the open house.